The following are mentors for the Conducting Workshop on 18th July 2018. If you prefer to work with a particular mentor, please inform Roland during the application process. See below for their photo and biography. Click here to go back to the 2018 Conducting Programs page. Lynette has studied extensively in music, having gained her Bachelor of Education in Music at Victoria College, her A. Mus. A. Piano and a Post Graduate Diploma in Music – Conducting at the University of Surrey, England, where she studied under Professor Sebastian Forbes and Nicholas Conran. During her time in England she held the position of Conductor of the University of Surrey Symphonic Wind Band and also conducted the University Symphony Orchestra and Choir. Lynette completed the Conductors Graduate Seminar with Jerry Nowak and the Advanced Conductors Seminar with Professor Larry Wagner and was selected to participate in the Symphony Australia Conducting course, under the direction of the Finnish conductor Maestro Jorma Panula. Lynette has a long career in music education, firstly as Music Coordinator at Canterbury Girls Secondary College. As well as teaching classroom music she conducted the Concert Band, which culminated in an invitation for the Band to participate in the 1989 International Youth Music Festival for the 2000th year celebrations for the City of Bonn (Germany), followed by an accompanying concert tour of Europe. From 1992 to 2003 Lynette was Director of Music at Fintona Girls’ School and is currently teaching music at Strathcona Baptist Girls Grammar School, where she conducts the Symphonic Band. Lynette’s involvement in music includes the Associate Conductor of the Eastern Youth Laureate Wind Symphony in 1992 and guest conductor in 2000. For six years Lynette conducted the Alexander Concert Band at the Border Music Camp, Albury. She was the Musical Director of the Western Region Concert Band and has been Musical Director of Theatre Productions, including Cabaret, Damn Yankees, Annie, Jesus Christ Superstar and the awards night for the Victorian Theatre Guild. Lynette is often invited to be a guest conductor for schools and community groups and to adjudicate at music festivals. In 2000 Lynette received an Excellence Award from the Australian Band and Orchestra Director’s Association, Victorian Branch. Lynette is currently the conductor of the South Melbourne Symphony Orchestra, a position she has held since 1993. She is very proud of her long association with the South Melbourne Symphony Orchestra. During her time with the orchestra she has conducted works from all styles and forms of orchestral music and is delighted to rehearse and perform with the regular members of the orchestra and the special guests who have appeared with the orchestra over the years. Simon holds degrees from the University of Melbourne and the University of Tasmania and has primarily studied conducting with Rob McWilliams, Monte Mumford, also briefly with Richard Gill OA, Graham Abbott and Craig Kirchhoff. 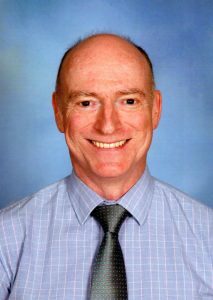 In a career spanning 30 years he has taught brass in Bendigo and has been the Head of Brass at Carey Baptist Grammar and Xavier College and is currently the Head of Brass at Caulfield Grammar School, a position he has held for the past 14 years. In that time, he has directed various Symphonic Bands, which have toured nationally and internationally. At the tertiary level, Simon is currently teaching the conducting component and second instrument brass pedagogy of the Master of Music (Performance Teaching) degree at the University of Melbourne, Conservatorium of Music. He has also taught conducting at the Graduate School of Education at the University of Melbourne. 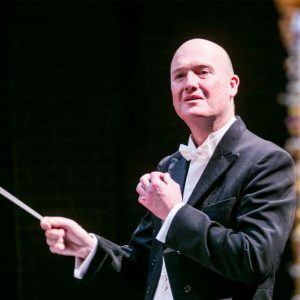 For the Australian Band and Orchestra Directors Association (ABODA), he has given lectures and has been a Conducting Mentor/Tutor for the students of the ABODA Victoria Summer Conducting School. Simon has also worked for the Royal South Street Society, the Melbourne School Bands Festival and other eisteddfods. Simon has directed various concert bands and orchestras with Melbourne Youth Music, Victoria’s State Music Camp and Border Music Camp. Kevin Cameron is an Australian music educator and conductor. 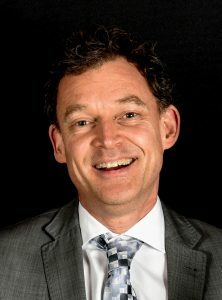 He is Music Director of the Melbourne Conservatorium Wind Symphony at the University of Melbourne and Director of Bands and Orchestras at Geelong Grammar School. Dr Cameron received his initial musical training at the Sydney Conservatorium of Music and has studied music at the Royal College of Music, the University of Western Australia, Arizona State University, and finally the University of Newcastle, where he was the first recipient of the award of Doctor of Philosophy in Music. Dr Cameron has studied conducting with some of the world’s finest teachers, including the Italian maestro Gian Luigi Gelmetti and the legendary conducting mentor Gustav Meier. Dr Cameron has appeared with the Sydney, Tasmanian, West Australian, and Darwin Symphony Orchestras, the State Orchestra of Victoria, the Auckland Philharmonia, the National Orchestra of Ukraine, and many youth and community orchestras across Australia. In 1994, he was the inaugural winner of the ABC’s Young Conductor of the Year competition, and has subsequently held numerous professional conducting posts, including Principal Conductor of the Band of the South Australia Police, Assistant Conductor of the Sydney Symphony Orchestra, ABC Conductor-in-Residence, and Music Director positions at Murdoch University, Newcastle University Choir, and the University of Newcastle Symphony Orchestra. During his time in Newcastle, Dr Cameron served as the founding Artistic Director of the Upper Hunter Conservatorium of Music. As an educator, Dr Cameron has held teaching posts in a variety of primary, secondary, and tertiary institutions. As Director of Music at Pembroke School he conducted the Pembroke Symphony Orchestra Pembroke Chamber Singers, and the Pembroke Girls’ Choir. The Pembroke Symphony Orchestra was recognised as one of Australia’s finest school orchestras, presenting a six-concert season each year and promoting collaborations with composers, professional soloists, and special projects. The Orchestra travelled to China in 2005 and to the United States in 2008, where it appeared at the Kennedy Centre with Kamahl and the Lincoln Centre with Lisa Moore, Daniel Sumegi, Caroline O’Connor, and the rock band Eskimo Joe. The Pembroke Symphony Orchestra was named Orchestra Australia’s School Orchestra of the Year in 2007. The ensemble programme at Geelong Grammar School has been substantially rejuvenated under Dr Cameron’s direction and now consists of 15 major ensembles involving over 300 students. The GGS Chamber Orchestra toured France and Belgium under Dr Cameron’s direction in April 2017. Encouraging others to enjoy music has been a major focus of Dr Cameron’s work in the wider community. 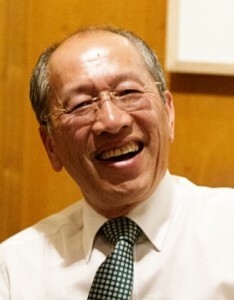 When resident in Adelaide, he served as Music Director of Adelaide’s Metropolitan Symphony Orchestra (MetSO), the Unley Concert Band, the Kensington and Norwood Band, and was a frequent guest conductor of the Norwood Symphony Orchestra, the Burnside Symphony Orchestra, and Adelaide’s acclaimed Tutti Choir for disabled and disadvantaged people. Since his arrival in Geelong, Dr Cameron has worked extensively with local groups, including Orchestra Geelong, the Zelman Symphony Orchestra, and the Geelong Concert Band. Dr Cameron made his debut with the Geelong Symphony Orchestra and the Geelong Chorale in 2017. Each summer, Dr Cameron is a frequent contributor to the conducting staff at the Geelong Summer Music Camp and the Residential Summer String Camp, Tasmania, and works as a guest conductor and clinician throughout Australia. 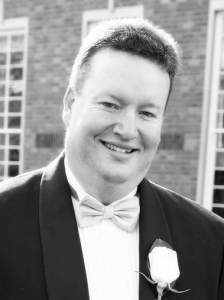 Dr Cameron has also served as President of the South Australian Band Association and the National Band Council of Australia and he has officiated as an adjudicator at eisteddfodau and important music competitions in all Australian states and territories. He is currently President of the Victorian Bands’ League. Dr Cameron has received acknowledgement for his work in community music and music education. In 1998, he was named the City of Newcastle’s Young Citizen of the Year in recognition of his contribution to the artistic and cultural life of the Hunter region. In South Australia, he has been named the SA Band Association’s Music Director of the Year and has received Life Membership and the Award of Merit of the South Australian Band Association and the National Band Council’s 25 Year Service Medal in recognition of his distinguished contribution to community banding. In 2006, he was selected by the Department of Foreign Affairs and Trade to participate in the Australian-Malaysia Institute’s Young Leaders Exchange Program from a national field of nominees. Dr Cameron was recognised by the City of Unley with the award of Citizen of the Year in 2014. Dr Cameron has maintained a passion for music and education and continues to assist the development of musicians through his involvement in professional and community music ensembles as a conductor, coach, adjudicator, advisor, artistic administrator, and teacher. M. Mus., B.Soc.Sc., Dip.T., Dip.Mus(USA)., Dip.Bus.Admin. 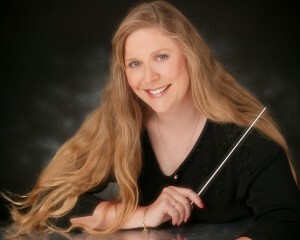 Jenny is currently Musical Director of the Essendon Symphony where she has been conductor since 2008. In 2016 she founded and is Musical Director of the West Melbourne Schools Orchestra a group that is growing and improving rapidly. Jenny has conducted some of Melbourne’s leading ensembles including the Zelman Symphony, Ballarat Symphony, Melbourne University Biomedical Students orchestra and Hopkins Sinfonia. Jenny is a regular conductor for Melbourne Youth Orchestras Summer School and in 2016 she was rehearsal conductor for Opera NZ’s season of Sweeney Todd. She founded Noteable Music Education Resources in 2006. As Managing Director, she has written and published ten resources for classroom music teachers, including interactive digital resources. Jenny is a regular presenter of workshops at national music education conferences throughout Australia. She adjudicates for the Victorian School Music Festival and at the National Brass Band Championships. 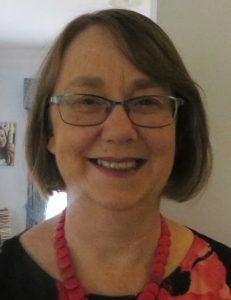 Joanne has worked as a music educator in many varied environments in Australia and in the USA and, until 2014, served as the Director of Music at Camberwell High School. She completed a Bachelor of Education – Music and a Postgraduate Diploma in Education Studies at Melbourne University. Joanne then received an assistantship to complete a Masters of Music majoring in Conducting Performance at the University of Utah, USA. Before returning to Australia, Joanne undertook the position of Band Director at Eastmont Middle School at Sandy, Utah. Joanne is in demand as an adjudicator, conductor, guest lecturer and educative consultant in the USA and Australia and has served as the music education representative for the curriculum writing project; Schools to Careers for the Utah State Office of Education. Joanne has been a guest lecturer and conductor at Monash University and Melbourne University. In 2000 she was awarded the Jordan Education Foundation’s Outstanding Educator of the Year for her work in Utah schools, and in February 2017 she was honoured with an ABODA Victoria Excellence in Music Education award. Joanne was invited to be a guest conductor of the Southern Mississippi University Honor Band in February 2007, clinician at the 2012 Mid-West Band and Orchestra Clinic in Chicago, guest conductor of the International Association of Southeast Asian Schools Honour Band in Kuala Lumpur in 2014 and guest conductor for the University of Colorado, Pueblo, Festival of Winds in 2018. 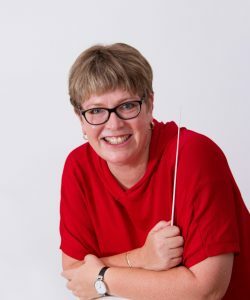 Joanne currently serves the Australian Band and Orchestra Directors’ Association – National (ABODA) as Immediate Past President and in July of 2014 commenced a DMA specialising in Wind Conducting at the Sydney Conservatorium of Music. Since joining the Royal Australian Navy Band in 1991, Matt has enjoyed a long and successful professional career as a musician, conductor, clinician and composer. Matt has served as Officer-in-Charge and Music Director of both of the full-time RAN Bands, Melbourne and Sydney, and enjoyed a short posting as Director of Music of Her Majesty’s Royal Marines Band in Devon, England, becoming the first and only foreign national to do so. He is currently posted as Second In Command at the Defence Force School of Music. Matt’s skills and musicality are in demand throughout Australia and internationally as a conductor, clinician and adjudicator, and he is a published composer of numerous Wind Band works. In 2017 his latest major work “Dylan’s Song” was premiered in both Melbourne and New York. He is currently working on a Wind Ensemble composition for a commission from Columbia University, NY, entitled “These Gifts Of Never And Always”. He has conducted professional and high level wind bands throughout Australia, in the UK and more recently, in the United States. He has worked with New York Wind Symphony, Columbia University Wind Ensemble, St Olaf University Band and Brooklyn Wind Symphony. Matt also guest conducts in concerts and clinics with some of Australia’s finest Wind Bands. A passionate advocate for the creation of new wind band music, Matt is active in commissioning works primarily from Australian composers both emerging and established. His own life-long journey of professional development and learning continues into 2018 with his attendance at the University of Texas at Austin Summer Conducting School and his recent acceptance into the Master of Music Studies (Conducting) course at Sydney Conservatorium under the tutelage of Dr John Lynch. “…an energetic leader in the Wind Band scene in Australia…” Adelaide Wind Orchestra 2017. Dr Lichnovsky obtained the Doctor of Musical Arts in Performance and Pedagogy from the University of Iowa, USA, where he studied saxophone with Professor Kenneth Tse, wind repertoire under Dr Myron Welch, and Jazz Ensemble with esteemed arranger and ensemble director, Dr John Rapson. After an early career conducting (including work with the Tasmanian Symphony, Orchestra Victoria, New Zealand Symphony and Adelaide Symphony orchestras as MD for the Scared Weird Little Guys’ “SCORE!”), Michael returned to life as saxophone performer, playing with Victoria’s professional symphony orchestras, Libra and Elision contemporary ensembles, and various chamber ensembles in live performance, recordings and live national radio broadcasts. Lecturing in saxophone, arranging, wind, brass and percussion pedagogy and conducting at Monash University reinforced his love of teaching at all levels, and in 2010 he moved to Benidgo, where he is now Head of Woodwind at Girton Grammar School. Dr Lichnovsky currently teaches woodwinds, conducts wind and jazz ensembles, and teaches VCE Music Investigation at Girton, where he finds the collaboration and positive environment stimulating and challenging. This role has enabled him to pursue ever improving knowledge and teaching skill, on which he prides himself. Still active outside of the Girton Grammar environment, Dr Lichnovsky regularly guest conducts the Stonnington Symphony and various music camps, guest lectures in instrumental pedagogy at the University of Melbourne, and performs with Orchestra Victoria as saxophonist. The breadth of his activities test to his belief that any activity in the profession, be it conducting, teaching, arranging, writing or researching, is a musical activity to be cherished. Click here to go to the GWS ABODA Conducting Seminar, Workshop & Intensive Programs 2018 page.